With period drama at a record high of popularity on our cinema and TV screens this course covers classic texts incorporating screen acting and period costume led by David B. Craik founding member and current director at the International School of Screen Acting. Actors with little or no experience of working professionally in camera (Film & TV) and others with theatre acting experience who are looking for some screen acting experience. Participants will arrive with a short classical scene already familiarised for immediate kick-off into short acting/camera rehearsals followed by some shooting combined with additional period costumes for heightened awareness. This followed by works on different scenes from a contrasting period such as seventeenth century and English restoration. -Having become comfortable and gained practical experience acting with an ever-present camera in close proximity without being fazed. -Footage of some of your acting scenes to take home. -Managing and wearing period costume. -Having gained an increased awareness and deepened appreciation of the language and flavour of another time. Timings for the three days are from 10.30am - 16.30pm with a one hour lunch break. Advisable to arrive from 10.00am to start promptly at 10.30am. Comfortable clothes and footwear are advised. .
David B Craik - click here to view David's Biog on this website. 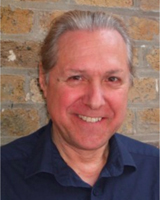 David B. Craik (LINK TO TUTOR PROFILE) is a founding member and current director at the International School of Screen Acting. Initially trained at Bristol Old Vic Theatre School, where he trained in classical acting and theatre arts and at the renowned Bristol Old Vic Company. He then went on to attain Master’s in Anthropology at UCL where he specialised in Anthropology of Art, Ethnographic Film. As an actor David appeared on BBC and in many touring productions across Europe as well as numerous west end venues and at the National Theatre. David was the head of voice at Academy DS Whitechapel for six years and directed over twenty productions ranging from Classical Greek Theatre through to Harold Pinter. The International School of Screen Acting is his latest venture along with his more recent founding of Indie company, Film Quest which will be participating at global film festivals.